Behan is too new-agey in his explanations to be taken seriously. He also dismisses large tracks of learning theory and psychology and ethology. 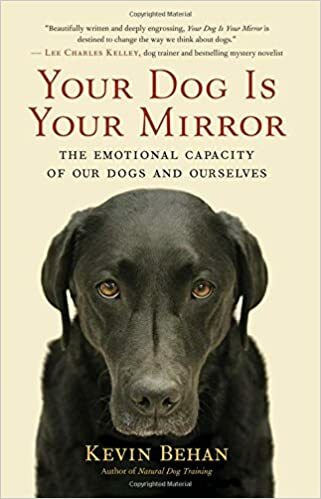 He prefers undefined explanations like "emotional circuitry of dog and owner" Frankly I tend to dismiss and distrust anyone that talks about 'energy' or 'vibrations' to explain animal behavior. I don’t dismiss behavioral science and I value its many astute observations and precise descriptions; however it is missing the fundamental element of behavior, to wit: the animal’s nature which is an evolved function of energy. So what is energy? Science understands energy as an “action potential,” as a differential in concentration of “charged” particles between one place, or pole, and another place or pole, as for example when water is held behind a dam or there is a concentration of electrons at the negative terminal of a battery. A charged particle transmits the action potential, the force that’s built up, but it isn’t energy itself. This phenomenon of an action potential that results in a current and a field is exactly how I mean the term energy as it applies to emotion, consciousness and animal behavior. By observing behavior without projecting any thought, intention or reason onto what’s going on, we can observe a “current” of emotion running within an animal (two-brain makeup) to bring an internal action potential “to ground” and which is the source of any and all behavior because it is the substrate of animal consciousness, it is how physical energy is internalized and presented to the higher processes of the nervous system as information. Observe a dog being held back by some restraint from something it wants. Refrain from reading any intention into what the dog is doing. Simply, consider that the dog is exhibiting energy by the strictest scientific definition of the term. The dog is manifesting an action potential, a build up of force on one side of the restraint or barrier, relative to the object of attraction which constitutes the complementary polarity of lesser concentration. This physical energy is measurable by every scientific metric, hormones, neurons firing, valves open/closed, dilation, skin tension, body movements, immune system activity; metabolic rate, muscle stiffness, etc., etc.. Meanwhile, behavioral science simply describes this as a state of excitement, agitation, aggression, frustration, fear and so on and in the process ASSUMES that the underlying animating energy is neutral, blank, and that the only meaning to this state of energy manifested in every cell of the dog’s being is derived from the higher processes of its central nervous system. This is an assumption that leads to many more assumptions all of which are taken as self-evident and therefore remain untested and which then compels the behavioral scientist to take the dog’s brain and body apart cell by cell and gene by gene trying to find the source of the meaning to its behavior. Once one can see a dog as the physical embodiment of an action potential, and that the disposition of this action potential follows the laws of nature, one will next be able to see two dogs as coming to represent one action potential, and then together becoming an action potential in terms of a collectivized want. In other words, one will learn to see the action potential replicating itself. This is the real purpose of genes. They are not fundamentally concerned with gene replication, they are fundamentally concerned with building organisms that replicate action potentials. These action potentials must evolve into existence in real time and these are how energy moves through an ecosystem and creates a network consciousness as the “mother” of all action potentials and which incorporates every element of the natural world into its matrix. Pavlov demonstrated that even neutral, emotionally sterile stimuli such as the ring of a bell, can provoke a physiological response in a dog’s very viscera and thereby turn the dog’s body/mind into an ACTION POTENTIAL. In other words, the dog ends up FEELING physically connected to its surroundings and feels incomplete in terms of the object of attraction. Even the neurons in the dog’s brains function as an action potential and this is the organizing principle of its mind as well. A state of conflict is an action potential that animates an animal. And it also INFORMS an animal because energy always moves from a pole of high concentration to a pole of lower, the basic law of thermodynamics, a motive that instantly digitizes the dog’s sense of its surroundings into two values, that which conducts its energy (what we can call preyful aspects because dog becomes driven to ingest it) and that which does not (what we can term predatory aspect because dog becomes driven to avoid it). All complex behavior elaborates on this simple platform and it is easy to see this in everything a dog does. Whenever two dogs encounter each other, they begin to differentiate into prey and predator polarities. In other words, they are externalizing between them, a duplication of the internal action potential by which their body/mind is organized. 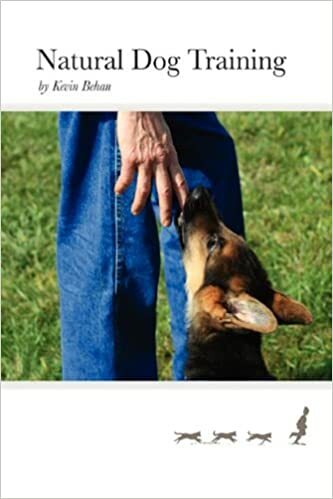 Therefore, the most conservative interpretation of advanced, complex canine behavior is that the connection between a dog and its surroundings is a physical, visceral one, just as if the dog is physically connected to objects of attraction, just as if the dog’s body/mind serves and functions as an action potential. And because this action potential replicates itself, a group of wolves are attracted to each other with a force that cannot be consummated by mutual contact and so they hunt larger prey, i.e. their internal action potential is now replicated as an external action potential between the group of wolves and this large dangerous prey. This is a physical connection in that the wolf feels the moose in its very viscera and feels physically connected to it. And because this connection constantly replicates by constantly adding new energy into this relationship, it can therefore be considered an emotional circuit that incorporates the many into one. Likewise dog and owner form this same emotional circuit so that the dog can become driven to do what its owner WANTS. Any other model of behavior without such a precise definition of energy will at some point break down, and by necessity and intellectual expediency resort to thoughts/intention/reason in order to explain complex behavior. And if a model for a natural system is not based on the energy on which such a system must necessarily have evolved upon, these rationales will always end up contradicting themselves at higher orders of magnitude. Unknowingly because behavioral science takes so many things as self-evident, it is projecting thoughts onto the behavior of animals (although recently lately this has become overt in many scientific writings) and this ultimately is a fatal error that actually puts it in contravention of basic evolutionary tenet that the complex evolved from unformed, i.e. energy. Energy is motion. Form is motion that repeats itself. Form adds quality to energy. Consciousness is a form of energy that reliably repeats itself. The quality of consciousness is to add new energy to the network in order to reliably repeat itself. I love this new feature on your website! It is absolutely fantastic! One could get “lost” for days, happily going through everything “The Buzz” has to offer. Whoever came up with this idea (Sondra? Sean? Kevin himself?) should get a raise! Yes I like the new Buzz too, it’s got a nice vibe.